Be The Change You Want To See ! Seema Hingorani – Helping people live better lives! Seema Hingorrany is a Clinical Psychologist and Author. She is an EMDR therapist (Trauma Expert) practicing in Mumbai (India). She is the youngest therapist in Mumbai who is regularly quoted for her expertise and elucidation in prominent newspapers and magazines like Times of India and many others. She has been quoted in more than 2500 articles; in various newspapers and magazines since 2003. Seema has also been an Official Psycho Analyst for Femina Miss India. She grooms girls for all around personality. She was applauded for her research paper on EMDR therapy with Pain disorders in Depression, which she represented India in Bali Conference held in July 2010, and in Manila in year Jan 2014 on EMDR and sexual abuse. She is the only Indian who wrote first book on Depression, called Beating the Blues, which got rave reviews. She is one of the known board members of Early childhood Association India, and regular participates in their conferences. She regular writes columns with Times of India and DNA news paper. She was recently one of the Trauma experts who were sent to Kashmir to treat 5000 children who were flood survivors as part of (EMDR Association India). Proud Indian who got recognized among the world’s best therapist by Dr Francine Shapiro in her book Getting Past, the Past. (International book) in US. Being a psychologist is a challenge by itself, as everyday you have to deal with complex cases who are extremely traumatic. One has to constantly keep calm and make sure your own personal issues cannot seep in your professional life. Many times we have calls in the night and have to attend as a part of our profession. Our working hours are very erratic and making time and space for family does get difficult and that’s again very challenging. Reading plays a pivotal role in our lives, as we constantly have to upgrade our knowledge in field of latest research that means few hours of sleep. For both my pregnancies I was in full time practice I couldn’t let my work take a back seat despite having cumbersome pregnancies because after all the patients lives in our hands. Every moment is crucial. As we are psychologist people think we are going to judge them constantly, which is very untrue 🙂 . We usually keep out professional lives in the clinic when we step out. I am inherently a strong person, which i use it to my advantage many times in my practice. Most challenges I overcome by being aware of my problem, and I never try to suppress my emotions. I try to address it by talking about it and then working on the solutions. My mother is my counselor and helps me with all of insights with her experiences. Writing is therapeutic for me; it’s like touching my soul. Also when I treat a client and free them from trauma that’s what keeps me on a high to help people more. Yoga and meditation really helps…keep me going…as well as baking many times with my children. We women are very strong, it’s high time we acknowledge it and appreciate it. 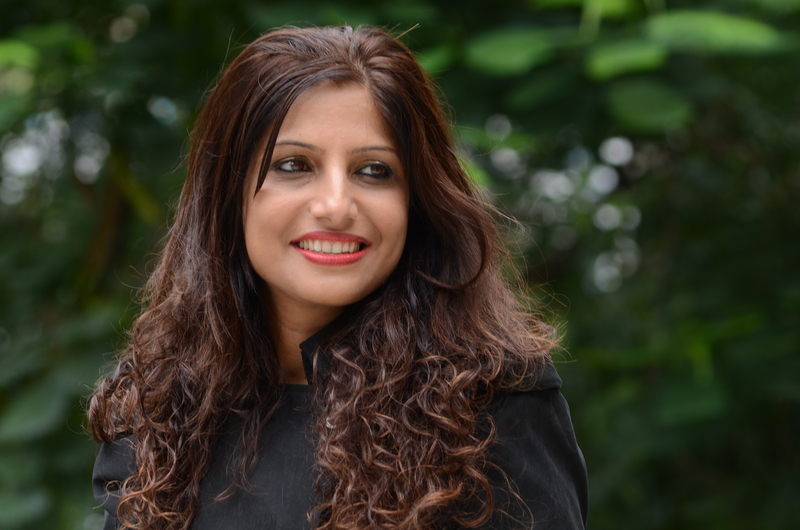 Shalini Girish – If you have the right attitude, are willing to take risks and back yourself up there is no stopping you! Seema Verma – Challenges are hidden opportunities.